Autumn has passed, and we're now 2 days into winter. 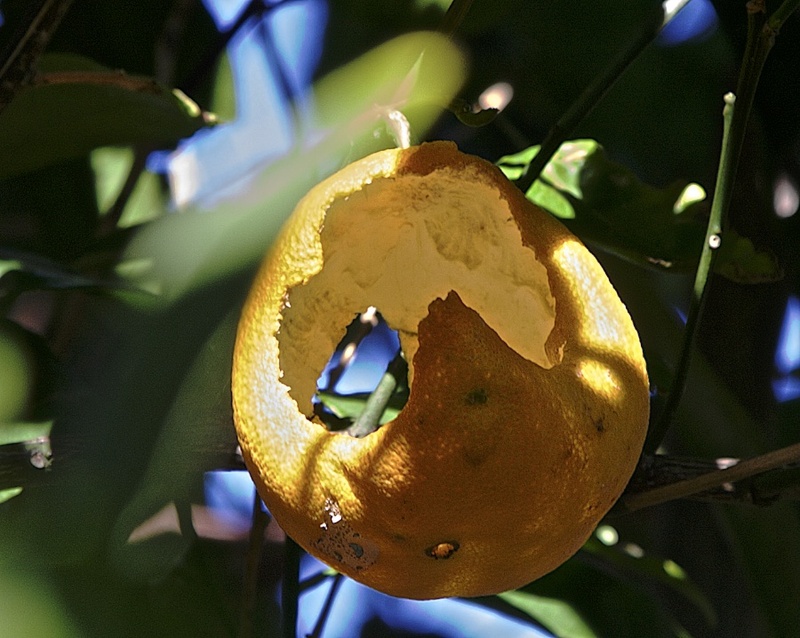 Last week I wandered into the backyard and discovered that the oranges on our tree had ripened. 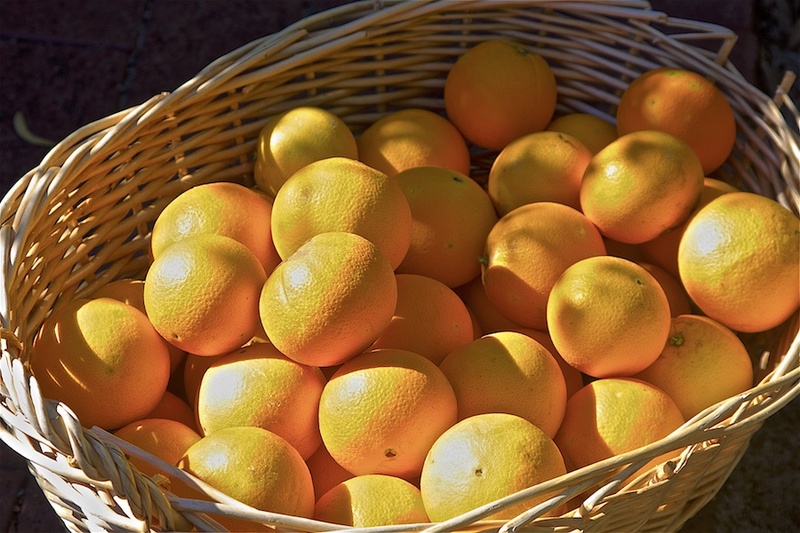 I filled our laundry basked with them and in the basket alone, there were 70 oranges; a far cry from the days when the tree would only bear 2 or 3 oranges a year. Counting those I had eaten earlier, and the many others eaten by the birds, I would say this tree has produced close to 90 oranges this year. We also left a few oranges on for the birds. Some time ago, when I blogged about the Straits Settlements currency, I did say I'd continue with some of the others that I found. 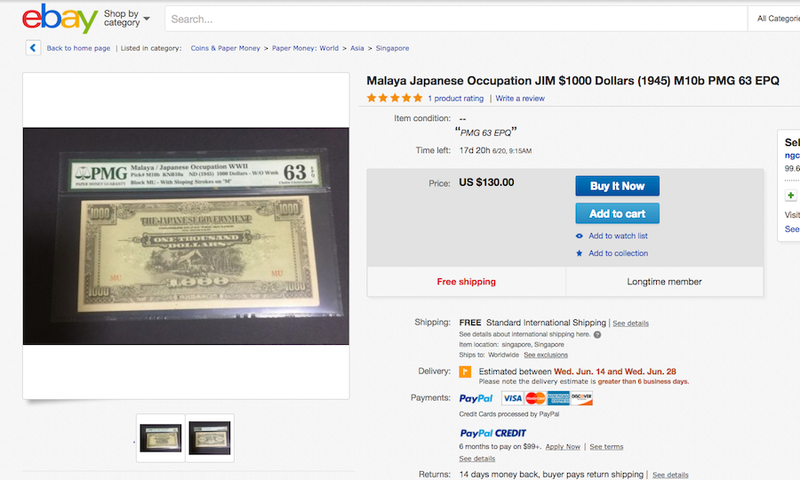 I won't bore you all with the smaller denominations, but here's a Japanese occupation note for a thousand dollars. 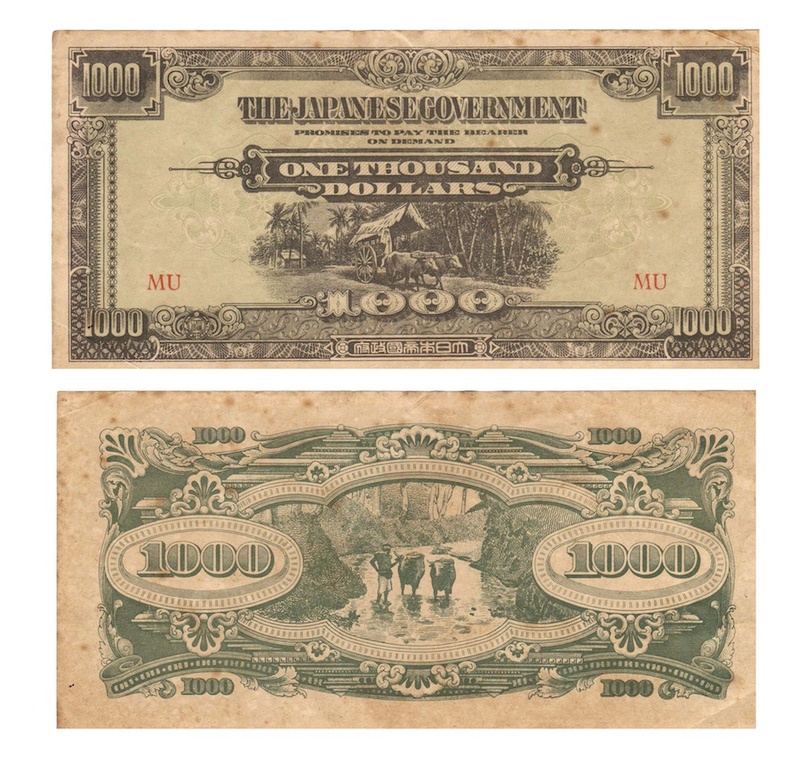 While trying to establish the current value of this note, I discovered that the one I have is a relatively common one, as shown by the red letters "MU" on the front of the note. There is a rarer version which has black letters "MA" instead of the red "MU", and if you have this one in mint condition, it's worth about RM3,300. 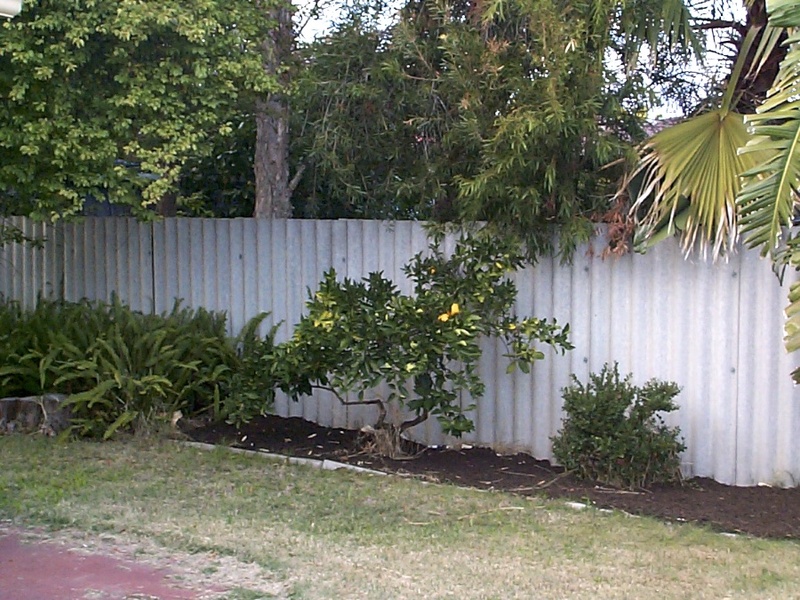 Finally here's a pic of our orange tree I took in 2000, when it was tiny and hadn't yet produced any fruit. Looks like a bumper harvest for oranges. This morning my wife bought at the government NTUC supermarket 5 very sweet and succulent oranges for SGD 5.65 (AUD 5.53). They are Barnfield oranges on offer - I think, they are from USA. I'm not sure under what brand names Aussie oranges are sold in SG. We are now also getting very cheap mangoes from Thailand. Mine are also navels (eating oranges, as opposed to Valencias - good for juicing), but I don't know which variety. Could be Washington, which is common in WA. Thanks for the information. 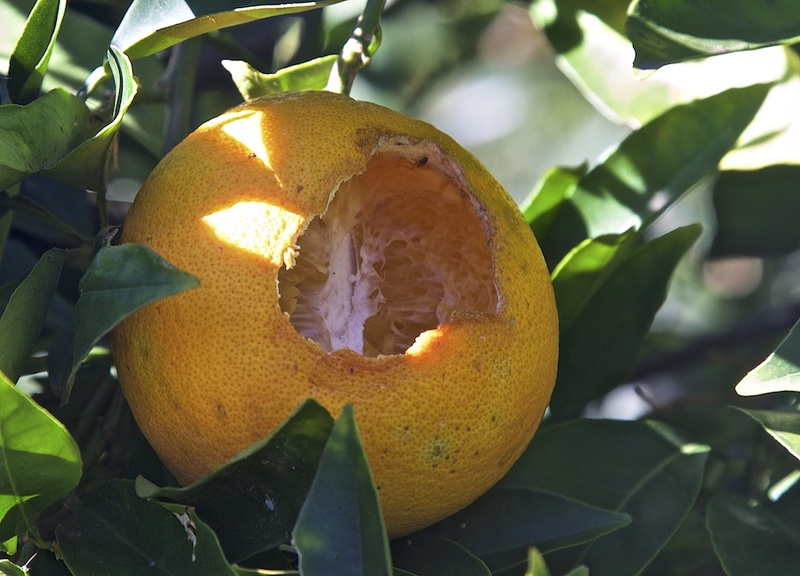 Is it possible to tell a navel from a valencia? If so, how? Navels usually have a "navel" right on the bottom - look for it. Oh my!!! Lovely golden oranges. Dunno what denominations my missus has - she has a stack of the Japanese banana money. I hope she has the rare one. Check them out, you might be pleasantly surprised. A pity the Marrakech doesn't seem to travel this far. I'd love to try them. We buy so many fruits from market but believe me that nothing can bring such delight as this harvesting from your own garden or trees!!! I am so glad that you got full basket of oranges this year . Beautiful yard and lovely tree photo! Yes, you are certainly right, baili. I always look forward to collecting the oranges each year.